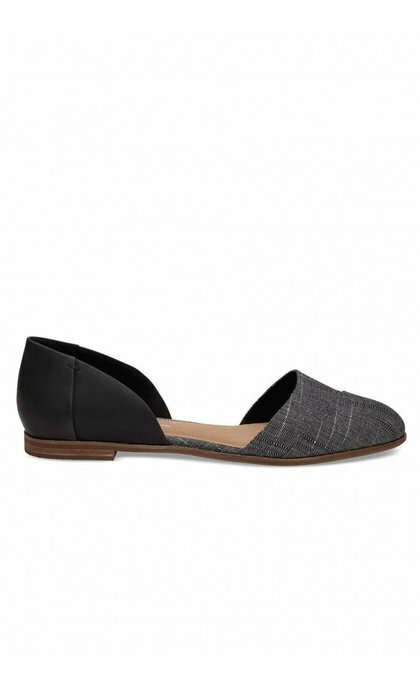 Stylish suede ballerina Jutti Mule Pine Suede Mozaik Tile from Toms. 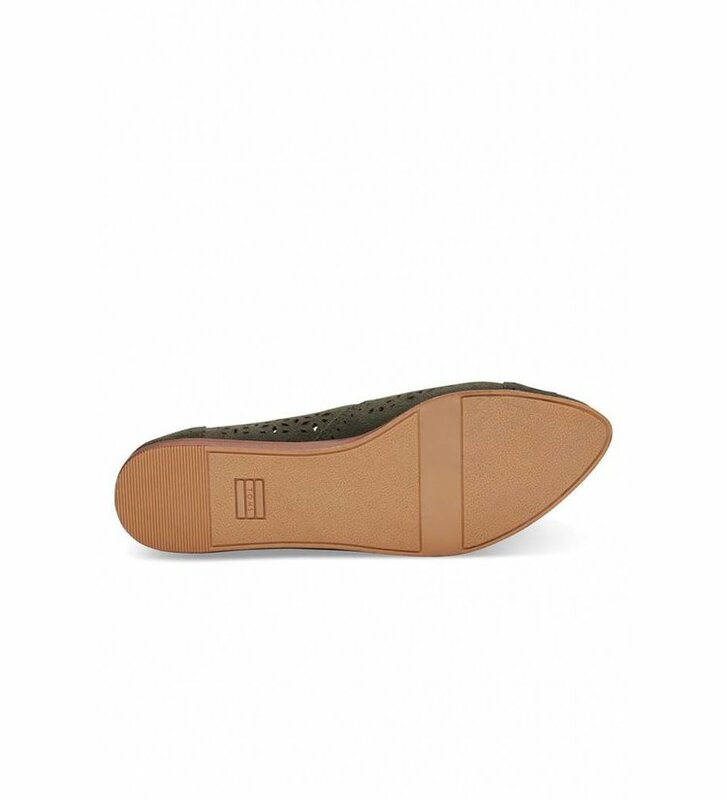 The shoe has a slim fit and a soft pointed toe. 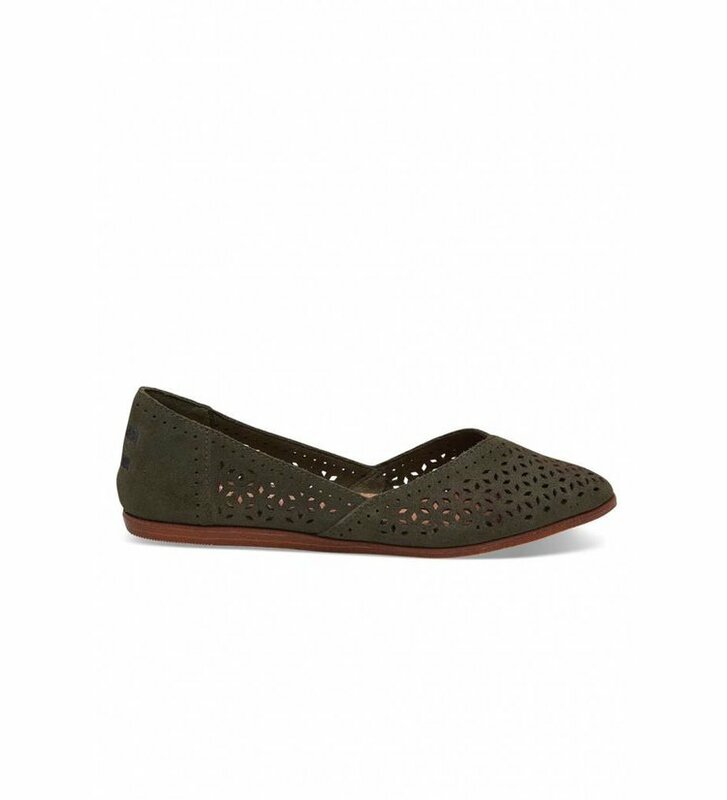 The suede is adorned with a perforated pattern, except at the heel. 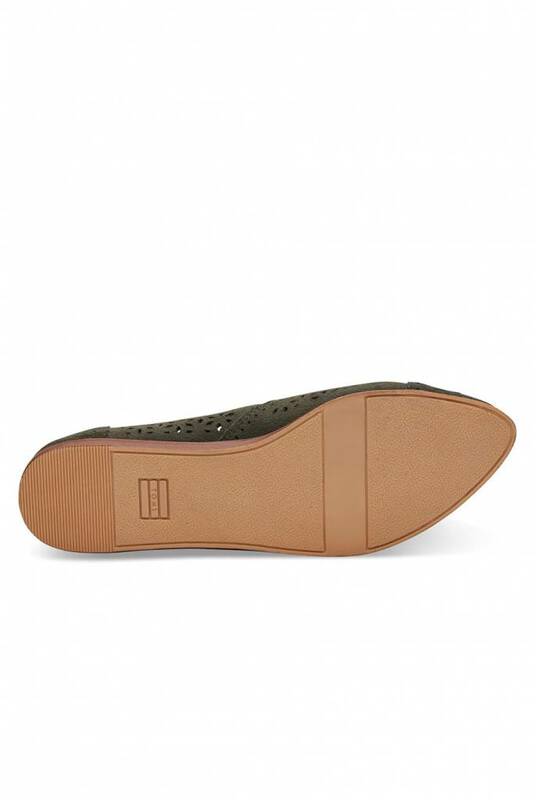 The shoe has a comfortabel sole. For every purchased pair, Toms gives a pair to a child in need. One for One. Belgium and Germany shipping costs € 5,-, other countries variable. Ordered on working days before 5 PM dispatched the same day. 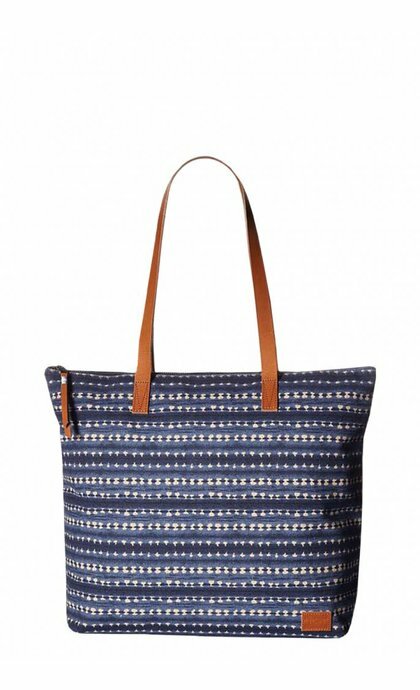 Pick up in our store, your purchase is ready for pick up instantly. Time for reflection 14 days as from the day after reception. Exchange for another size or colour (Netherlands only). Not happy with your purchase, money back (also Sale and Outlet). Return costs are at your own expense. After receipt of return, refund within 2 working days.